The publication of Daun: Jurnal Ilmiah Pertanian dan Kehutanan indeed participates in disseminating the results of research and review of science and technology development conducted by lecturers and researchers especially from UM Palangkaraya and other universities. This edition contains seven articles consisting of Agrotechnology and Forestry topics. 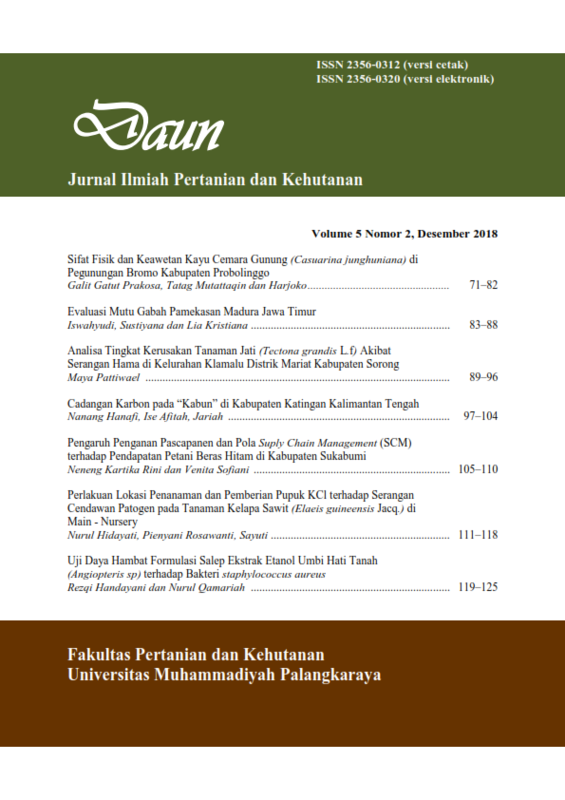 Daun: Jurnal Ilmiah Pertanian dan Kehutanan by Institute for Research and Community Services Universitas Muhammadiyah Palangkaraya is licensed under a Creative Commons Attribution-ShareAlike 4.0 International License.